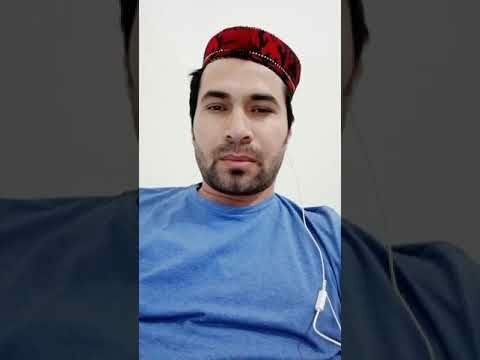 The Islamabad High Court (IHC) has ordered to release Pashtun Tahafuz Movement (PTM) activist Hayat Preghal, who was booked under Pakistan Cyber Crime Act for posting ‘anti-state’ content on social media. “Islamabad High Court has finally ordered to release Hayat Preghal on bail,” PTM leader and MNA Mohsin Dawar announced in a statement on his Twitter on Wednesday. He also thanked those who had supported PTM in Preghal’s case. Islamabad High Court has finally ordered to release #HayatPreghal on Bail. We are extremely thankful to @amnesty @Rabail26 and all other friends who have supported us in his case. On Tuesday, a single-member bench of the IHC comprising Justice Amir Farooq had reserved judgement on a petition seeking release of the PTM activist. During the hearing, defence counsel Baber Awan had opposed the contents of the FIR and said his client was innocent and wrongly implicated in the case. He had argued that no material was recovered during the investigation from the possession of his client nor was the accused “directly nominated in the FIR”, while requesting the court to grant bail. The FIR registered with the police does not mention Hayat by name but includes URLs to social media posts he made from his Twitter and Facebook accounts. These accounts and Hayat’s mobile phone, laptop and USB were accessed by the FIA’s Cyber Crime Unit during his detention. However, the court that was supposed to announce the verdict, had reserved it instead. Hayat is the social media lead for the PTM and was detained from his house in Dera Ismail Khan on July 5, 2018, while visiting family during holidays from the UAE, where he works as a pharmacist. The authorities did not provide any information about his fate and whereabouts until six days later, when he called his family and told them he was arrested by Pakistan’s Federal Investigation Agency (FIA). His family only discovered his whereabouts when he was permitted to call them on the afternoon of 11 July 2018. Besides HRCP, Amnesty International has called for the release of the social media activist.